After three lawyers assigned to the case bowed out for various personal reasons, a man in Alabama has finally agreed to take on the case of Harvey Updyke, the former state trooper who allegedly poisoned Auburn's oak trees at Toomer's Corner. The lucky attorney, Glennon Threatt, Jr., went on the Paul Finebaum radio show yesterday (the same show on which Updyke initially claimed he'd done the deed) and said he'd be "proud to represent" the man who named his children Bear Bryant and Crimson Tyde [sic]. Threatt previously represented the disgraced former Birmingham mayor, Larry Langford. Finebaum's show has become the nexus of the Updyke saga, which continues getting stranger. The story about the dead trees, which was kind of a silly story to begin with, isn't really about the dead trees anymore! A man named Wayne Barnes, who claims to be a close friend, called into the show this week and claimed that police had kept Updyke secluded and in a straight jacket for three days. Threatt didn't acknowledge this claim, but he did say that his client had left police custody because he was "fearful that he was going to suffer physical harm." 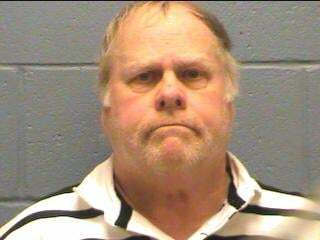 Which takes us, believe it or not, to Updyke's current locale: in a car, in the woods. Threatt says his client "shows the lack of consciousness of guilt," while Barnes doesn't think his friend is "capable" of poisoning trees. It's kind of hard to say which is a more damaging assessment.